Auburn University announced this week its first innovation studio in the City of Mobile with a planned opening this fall. Named “futures studio,” a faculty director and 15 students from Auburn’s school of industrial + graphic design will assist local businesses and industry with development of new products, packaging, branding, identity and marketing strategies. Collaborations are approximately 14 weeks long but can be scaled to accommodate the resources and needs of our collaborating partners. All student expenses are covered by the university. Read more about the site’s activities here. 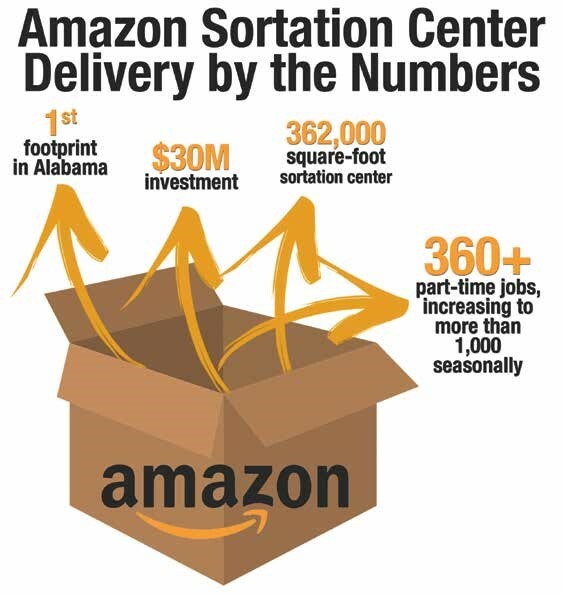 It was prime news when early this summer Amazon announced its intention to build a 362,000-square-foot sortation center in west Mobile off I-10, a nearly $30 million investment. The company has plans to hire more than 360 part-time employees, boosting that number to more than 1,000 seasonally. The Mobile Area Chamber, in partnership with the Alabama Department of Commerce, Mobile County Commission and the City of Mobile, worked on this project since 2016. The center is a partnership between Amazon and Johnson Development Associates and, according to Amazon officials, is expected to open later this year. “This is yet another example of how Mobile’s distribution infrastructure and workforce continue to draw the attention of international companies like Amazon,” said Troy Wayman, the Chamber’s vice president of economic development. As Amazon’s first location in the state of Alabama, the center will serve as a site to efficiently sort products sold on amazon.com for consumer use. The project will be located in Mobile County Commissioner Jerry Carl’s district. “The biggest thing the Amazon center will do, besides the obvious jobs, is put Mobile County on a very short list of cities that could be in every home in America via the shipping label,” he said. “Amazon is one of the most successful and innovative companies in the world, and we could not be more excited to welcome their first major location in Alabama,” said Mobile Mayor Sandy Stimpson. Bishop State Community College is one of three Alabama colleges that will offer a newly created app development curriculum by Apple, starting this fall. The Alabama Community College System was among the first – one of only six nationally – selected to offer the one-year course. Read the news release here. Alabama’s Port City is known around the world for building big ships and jets, but it’s also home to people who create systems, software and other innovative solutions that power industry. 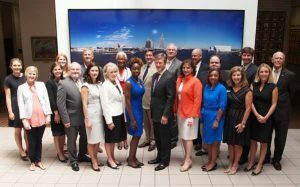 In early 2016, the Mobile Chamber’s Gulf Coast Technology Council and Innovation PortAL assisted the University of South Alabama and the City of Mobile with the application to become a TechHire city. The designatuiopn was awarded ion December 16th, and is another outcome resulting from the Mobile led manufacturing community sesignation. The aim of the designation is to train and keep software developers in our community. Additional community partners collaborating on the project included the County of Mobile and Depot/U, a Birmingham-based coding training program. It is expected to begin in 2017. Following graduation, 15 member-companies have agreed to interview the graduates for potential employment. The U.S. Secretary of Commerce has renewed our regional manufacturing community designation for another two-year period. Southwest Alabama’s eight country region was among the first of 12 communities across the nation to be awarded the U.S. Department of Commerce Investing in Manufacturing Communities Partnership (IMCP) designation. The primary benefit of this designation is preferential scoring on applications to eleven federal agencies for grant funding. Since 2014, the IMCP community has received more than $20 million in federal funds in the region. $2.9 million awarded to the Mobile Area Chamber Foundation to renovate a building on St. Louis Street in downtown Mobile that will house the Innovation PortAL. Local private foundations, private industry, the city of Mobile, Mobile County and the University of South Alabama committed $1.9 million in matching funds. Innovation PortAL will help entrepreneurs launch a business idea or accelerate an existing company with the assistance of industry experts, mentors and specialized training. • $14.5 million Transportation Investment Generating Economic Recovery (TIGER) grant awarded to the City of Mobile to reconstruct the Broad-Beauregard corridor. The funding will rebuild aging infrastructure, help connect citizens to jobs and revitalize historic neighborhoods. The plan includes bike and pedestrian lanes and landscaped medians, reconnecting neighborhoods currently divided by Broad Street’s five-lanes of concrete. A federal official visits Mobile to announce a major grant to renovate a downtown building for Innovation PortAL, a program of the Mobile Area Chamber. For more information on this critical resource and its expected impact, visit page 5 of the Business View. 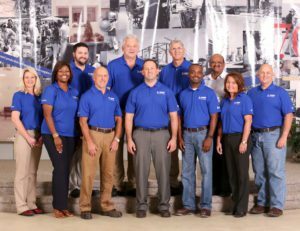 BASF Corporation’s McIntosh facility was named the Mobile Area Chamber’s 2016 Manufacturer of the Year at a recent Partner’s for Growth (PFG) investor meeting. PFG, a program of the Mobile Area Chamber, is funded by private sector business and industry, the City of Mobile and Mobile County. Since BASF acquired Ciba, including McIntosh in 2009, the Germany-headquartered company has maintained its local employee base, increased production and significantly invested in the site originally opened in 1952. One of the world’s largest chemical companies, the local production units benefit the food and beverage, automobile, furniture and flooring industries. Over the last three years, BASF more than doubled its annual capital spending to make infrastructure improvements, expanded capacity and improved equipment reliability. Local managers expect this trend to continue the next three to five years, with advantageous market conditions and higher demand as the driving forces. Employees actively support the community by donating time and support to area nonprofit agencies. The company funds a number of science scholarships at various educational institutions and hosts BASF Kids’ Lab where students are scientists for a day. The site has been honored with numerous safety and environmental awards, including Manufacture Alabama’s Safety Award. Currently there are more than 550 employees at the McIntosh facility. The Mobile Area Chamber presented Prism Systems its 2016 Innovator of the Year award at a recent Partner’s for Growth (PFG) investor meeting. PFG, a program of the Mobile Area Chamber, is funded by private sector business and industry, the City of Mobile and Mobile County. The work of Mobile-based Prism Systems touches your life in more ways than you can imagine. Your favorite candy bar, doughnut, soft drink or even a bottle of rum, with the help of the company’s customized services it turns out right every time. But more than food and beverages, the company’s automation and control programming and software development services reach into Fortune 500 companies and other customers in 41 states and 31 countries in 12 key industries including energy, entertainment, government, oil and gas, pulp and paper, education and more. The results mean world-class production, improved efficiency and reduced costs for customers. Prism Systems and its employees are active in the local community, participating in the American Cancer Society Chili Cook-Off and hosting an annual Toys for Tots drive. The 27-year-old company has nearly 50 employees, and earlier this year opened a new research and development lab, generating additional new hires. 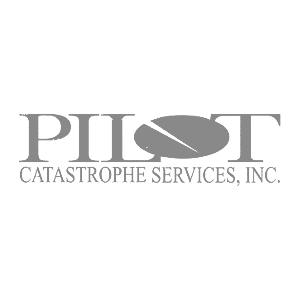 Other locations include engineering offices in Glendale, California; Birmingham, Alabama; and a manufacturing assembly location in Washington County. 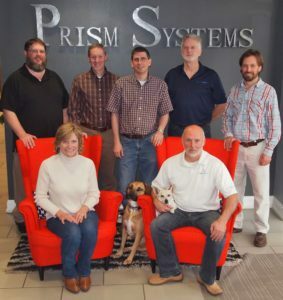 “Prism Systems is a perfect example of Mobile, Alabama, touching the world. The innovative solutions they provide in multiple business environments across the globe showcases the capabilities and talent our community offers,” said Troy Wayman, the Chamber’s vice president of economic development. The Economic Development Administration (EDA) made two grants totaling nearly $5 million to the Southwest Alabama region Friday, specifically assisting manufacturing and innovation projects in Mobile and Atmore, it was announced at a Mobile Area Chamber of Commerce press conference. Matt Erskine, Deputy Assistant Secretary at the U.S. Department of Commerce, an agency that invests in distressed communities, made the announcement alongside Mobile Mayor Sandy Stimpson and Atmore Mayor Jim Staff. “We know these key projects will help transform this region’s economy,” said Erskine. The first grant, for $2.9 million, will contribute to the renovation and modernization of the old Threaded Fasteners building in Downtown Mobile, which will become a business incubator designed to help entrepreneurs and businesses in the Southwest Alabama region, said Erskine. A second grant totaling $1.9 million will help build an industrial access road to serve a new aerospace manufacturing facility located at the Rivercane Industrial Park in Atmore, which Erskine said would help alleviate recent economic decline in the city and is expected to create 116 jobs and generate $114 million in private investment. The grant comes as the U.S. Department of Labor reported Friday that the country added 151,000 jobs in August, a significant decrease from gains in the previous two months. However, the report also noted losses of around 14,000 in manufacturing. While the unemployment rate in Atmore soared during the global economic crisis of 2007 and 2008, peaking at 13.1 percent in July 2009, it has slowly recovered to 6.4 percent as of July this year, but still trails the Alabama rate of 5.8 percent and the national average of 4.9 percent. Mobile County’s unemployment rate is currently 6.7 percent, according to Alabama Department of Labor Statistics. Erskine also announced in his speech that the Mobile Area Chamber of Commerce and Atmore City would be contributing $1.9 million and $580,000 to their projects, respectively. Mayor Staff of Atmore said that the grant was a “truly regional project,” while Mobile Mayor Stimpson said that he and the Mobile community were “grateful” for the EDA’s investment.